WASHINGTON – The Homeland Security Department may not have the resources needed to hire the thousands of new agents President Donald Trump has ordered, and even if it could it might not know how to best deploy them. Those were the findings of a DHS Inspector General’s report reviewing Trump’s January executive orders calling for 5,000 new Border Patrol agents and 10,000 Immigration and Customs Enforcement officers. “Neither CBP nor ICE could provide complete data to support the operational need or deployment strategies for the additional 15,000 agents and officers they were directed to hire,” said the report that was released late last week. Hiring is already a challenge at the agencies, it said, estimating that CBP would need to review as many 750,000 applicants to find the 5,000 new agents the president is calling for and ICE would need about 501,750 applicants to hit its target of 10,000 officers. And in order to support that many new frontline officers, the agencies would need to hire an additional 9,600 “technical and operational support staff,” the inspector general said. Critics of the hiring surge said the report should serve as a warning to Congress that it needs to slow things down. But the union representing Border Patrol officers has said the agency is “already more than 1,700 agents below the congressionally mandated floor of 21,370 agents” and that extra help is urgently needed. 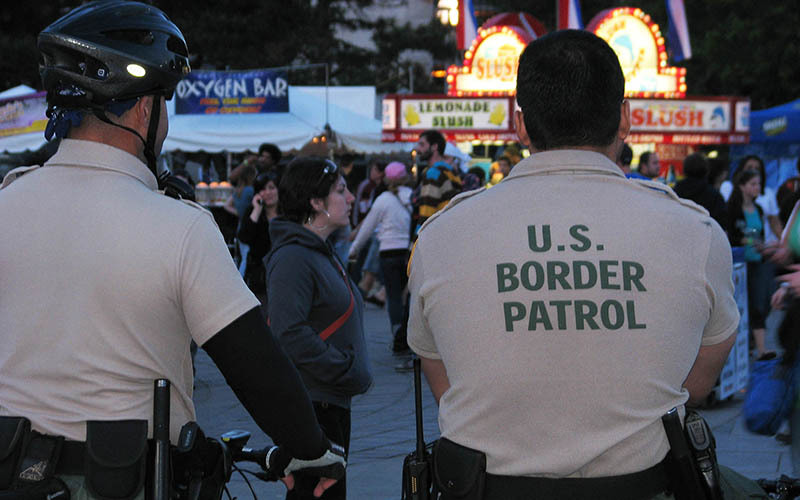 “Adding an additional 5,000 agents will be a logistical challenge, but will have a tremendous impact on border security,” said a statement from the National Border Patrol Council when the administration’s budget was released earlier this year. Council officials did not respond to requests for comment Friday. It comes as Arizona lawmakers are pushing bills aimed at streamlining the strict hiring process for Border Patrol agents, which includes background checks, drug screenings, physical fitness tests and polygraph exam, among other hurdles. That lengthy process has led to the difficulty in adding new officers, the inspector general’s report said. In June, the House approved the Anti-Border Corruption Reauthorization Act, a bill sponsored by Rep. Martha McSally, R-Tucson, that would allow polygraph testing to be scaled back for applicants who have previous military or government clearance. Her bill was grafted onto a similar measure in the Senate – the “Boots on the Border Act,” sponsored by Arizona Republican Sens. John McCain and Jeff Flake – and approved by the Senate Homeland Security and Governmental Affairs Committee in July. Another bill, by Flake, would give CBP greater hiring authority and prioritize the hiring of veterans for Border Patrol jobs. Calls seeking comments from the lawmakers were not immediately returned Friday, but in a statement after her bill passed the House, McSally said scaling back the lie detector testing for some applicants will let DHS bring on the number of officers it has needed all along. “By giving CBP the discretionary ability to hire qualified, vetted individuals who already have earned public trust, this bill will increase the security of our nation and facilitate cross-border commerce and tourism – so vital to the Arizona and national economy,” she said in a statement from her office. But an official with the American Immigration Lawyers Association said the polygraph test is there because of problems after previous time when CBP rushed to hire agents. “The ramp-up of the number of agents quickly, with the scale-back of the polygraph testing, is extremely concerning,” said Alyson Sincavage, an AILA legislative associate. “Just for the administration to be able to meet the numbers, to show that they have more agents in the field, they’re willing to put the public safety at risk and scale back the polygraph requirements,” she said.